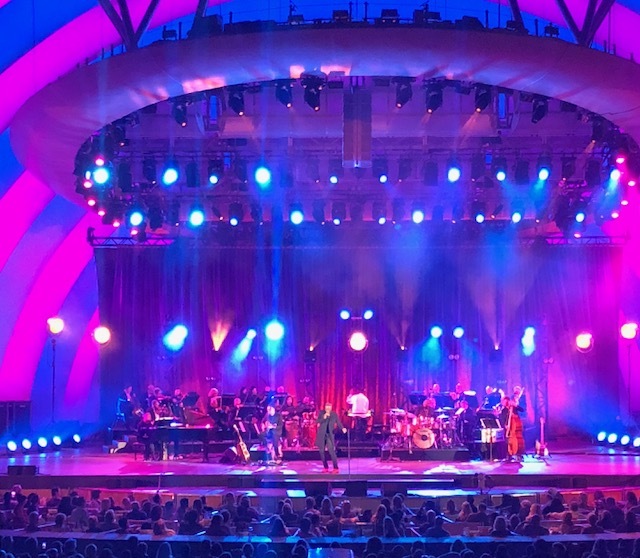 On Wednesday (July 18), the Hollywood Bowl welcomed British artists Corinne Bailey Rae and Seal to it’s famous outdoor stage as part of the Bowl’s Jazz Series. 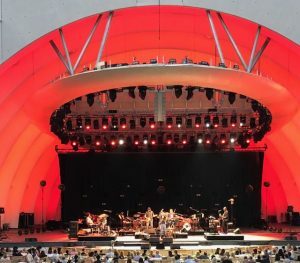 With the summer season in full swing, most seats were filled with concert goers eager to take in the jazz-filled and soulful show. 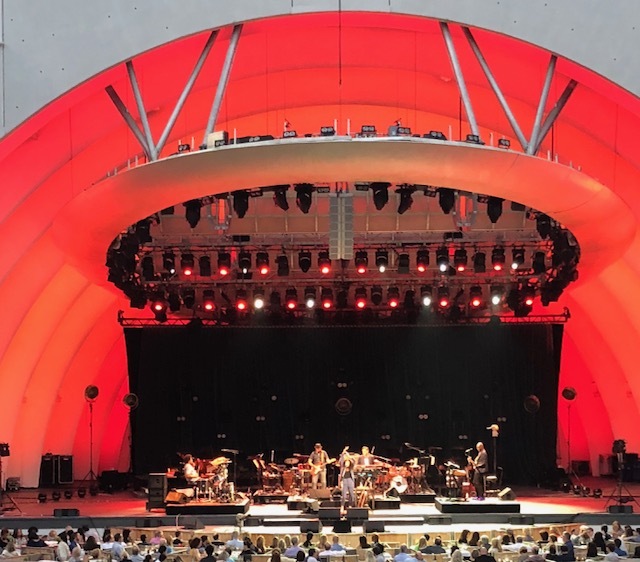 In true Hollywood Bowl fashion, show opener Corinne Bailey Rae began her set promptly at 8pm. She was dressed elegantly in pinstripe high water pants, a black tank top and eye-catching silver platform boots. The singer seemed delighted to be spending the evening with the already full venue. She continually thanked the audience for being there. While Bailey Rae’s set felt much too short, she filled it with many of her crowd favorites, including her biggest radio single “Put Your Records On,” ‘Till It Happens To You,” “Like A Star” and her 2012 Grammy-award winning cover of Bob Marley’s “Is This Love.” Before performing her final track, “The Skies Will Break,” she told the crowd that it was dedicated to anyone having a hard time now. She then proceeded to dance and sing her way around the stage while she allowed her 4-piece band to enjoy some of the spotlight. Corinne Bailey Rae’s voice was strong and just as charming as it was when she first broke out onto the music scene. 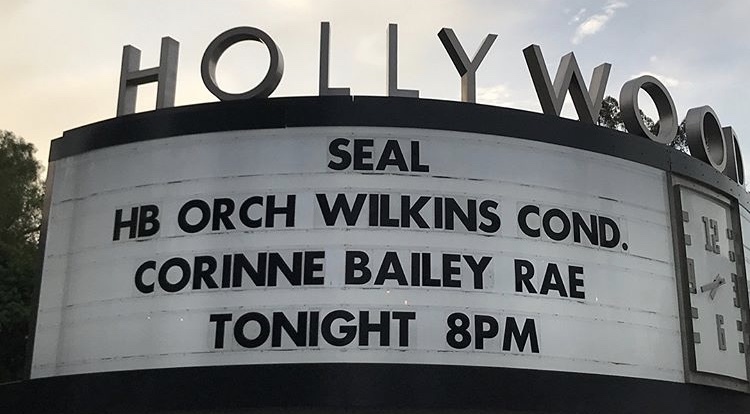 Seal began performing in 1987 and has since then put out 7 original albums, “Seal” (1991), “Seal II” (1994), “Human Being” (1998), “Seal IV” (2003), “System” (2007), “Seal 6: Commitment” (2010) and “7” (2015). He also released 3 cover albums; “Soul” (2008), “Soul 2” (2011) and most recently “Standards” (2017). He has sold more than 20 million records worldwide. The musician is most known for his 1995 Batman Forever soundtrack song, “Kiss From A Rose.” Seal has won multiple awards throughout his career, including three Brit Awards, four Grammy Awards and an MTV Video Music Award. So after a quick change of the stage set-up, Seal gracefully sauntered out in front of the crowd. 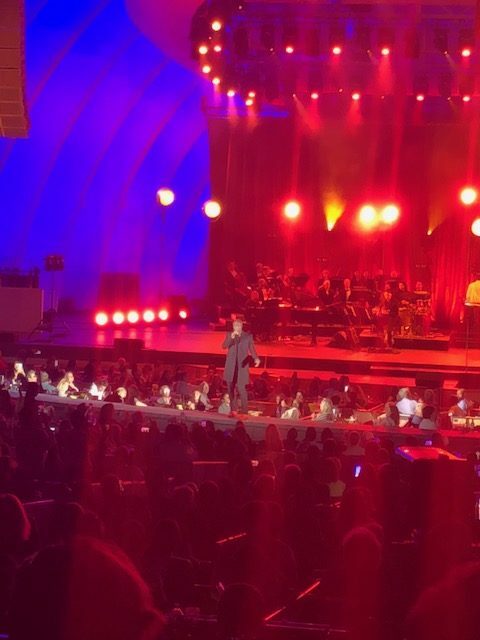 Wearing his usual all black well-fitted suit and snazzy red shoes, the artist was backed by select members of the Hollywood Bowl Orchestra which was conducted by Thomas Wilkins. Seal certainly took the crowd back in time with a selection of songs off his “Standards” collection. These Rat Pack-era tunes paired so perfectly with Seal’s voice. It was as if he had been singing them his whole life. He filled the venue with his renditions of “Luck Be A Lady” (Frank Loesser), “I Put A Spell on You” (Screaming’ Jay Hawkins), “I’ve Got You Under My Skin” (Cole Porter), “That’s Life” (Marion Montgomery) and many others. Seal’s voice and swagger provided just the right touch to these timeless tunes. 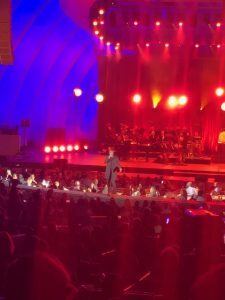 Of course he also performed his biggest hits including “Kiss From A Rose” and ended with “Crazy.” For his rendition of Stevie Wonder’s “Superstition,” he invited his 8-year-old daughter on stage to play the piano along with it. It was a very sweet moment and it was clear just how important his role of fatherhood is to him. 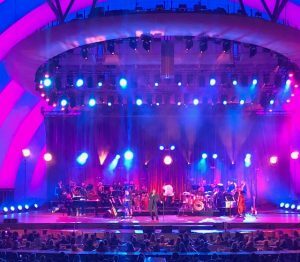 Indeed, Seal and Corinne Bailey Rae brought swing and sophistication to the Hollywood Bowl! An Interview With The Musician WILLIAM RYAN KEY All About His Solo Debut EP “Thirteen,” Moving Past Yellowcard and More!